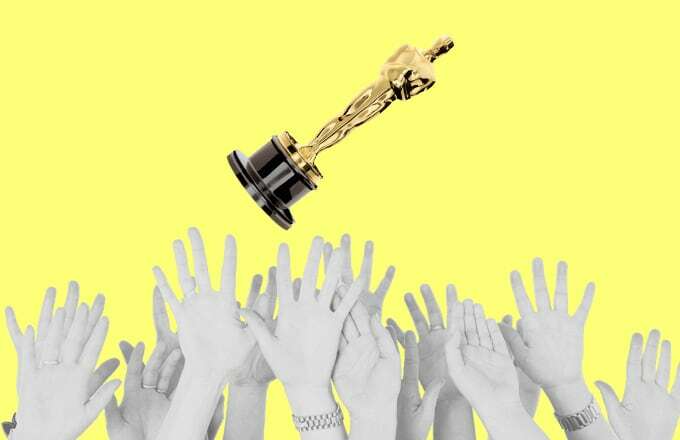 It’s become a parlour game of sorts to see just how wrong the Academy gets the Oscar nominees each year. The nominations are either so confounding (Remember when Crash won Best Picture?) or painfully predictable (Birdman, Boyhood, The Theory of Everything… basically every Best Picture nominee last year) that you don’t know whether to make the ceremony a drinking game or see if DraftKings is taking bets. Regardless of all this, we all tune in anyways because we love to watch the world’s most beautiful people remind each other of how important they are to the world. Because we love these beautiful people, we still want to see them win Hollywood’s highest honor, so much so that we even create false narratives about why certain actors deserve one. Leonardo DiCaprio is the front-runner of the most recent campaign for “he deserves an Oscar already,” even though he’s only 41 and been nominated just four times (only half of which—Howard Hughes in The Aviator and Arnie in What’s Eating Gilbert Grape—were justified). He will be just fine, you guys. He’s got a few more years worth of Scorsese movies to make and he’s the leading the Best Actor pack this year for grunting a lot and eating a buffalo liver in The Revenant. This Leo-crusade reached a fever pitch and I blame all of you for making that man feel so desperate. Unfortunately, Leo is one of the few actors to be gifted this sort of narrative. Many other, probably better actors have been snubbed without any public recourse. Where are their unnecessary standing ovations at the Golden Globes?! So anyways, since these actors and actresses were robbed of tasting Oscar gold, we gave them the next (?) best thing—we put them all on a list.